Vybz Kartel has publicly acknowledged Popcaan for the first time in seven years. It took Vybz Kartel nearly a decade to publicly acknowledge his former protege Popcaan. The incarcerated deejay and the Unruly Boss had a bitter falling out shortly after his arrest in 2011. Kartel infamously released a statement from behind bars bashing former members of his Gaza crew and then announcing the disbandment of Portmore Empire. In his stinging statement, the Empire boss called Popcaan, Tommy Lee Sparta, Vanessa Bling, and others disloyal for abandoning him shortly after his arrest. 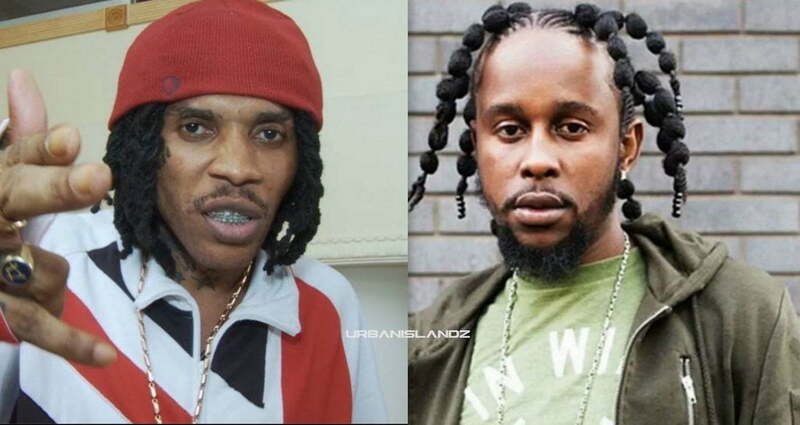 Over the years we’ve also seen Vybz Kartel take jabs at Popcaan in songs and his most loyal soldier, Shawn Storm, regularly diss the Unruly Boss in diss tracks without Kartel saying anything. Over the past few months, we first saw Vybz Kartel, and Tommy Lee Sparta make peace, and now the Worl’Boss and Popcaan are working to patch their relationship. Just last weekend, Kartel shared a throwback video clip of himself and Popcaan shelling down a show in the early days, around 2009. Popcaan liked and commented on the video saying, “timing belt” before adding “dawg yo mad enuh.” Vybz Kartel also posted a video clip of Vanessa Bling on his official Instagram page last weekend. The clip was a video of her recent interview with Anthony Miller where she praised Kartel for discovering her talent. Kartel, real name Adidja Palmer, and his three co-accused, Shawn “Storm” Campbell, Andre St John, and Kahira Jones are hoping that the appeal court will exonerate them of their murder conviction and set them free. The case wrapped in the Court of Appeal in July of this year and a verdict is expected sometime this fall. Attorneys representing the four men have expressed their confidence that they will walk free, but are cautioning fans that it’s not a done deal until a verdict is reached.